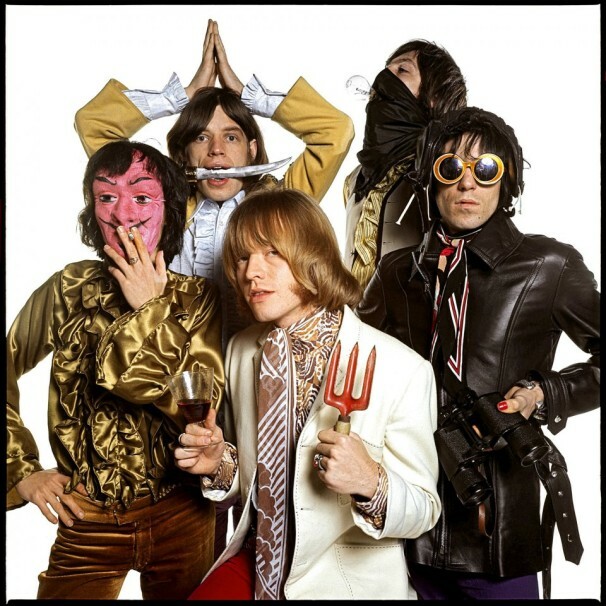 Great to learn that It’s Just a Shot Away: The Rolling Stones in Photographs, the fantastic, spacious, high-quality exhibit of superlative Rolling Stones portraiture is still on tap. 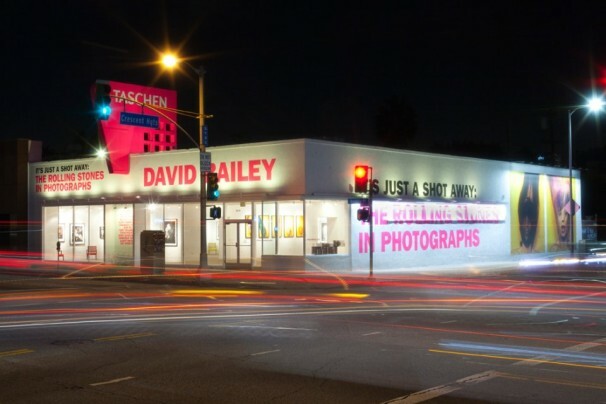 You cannot miss Taschen’s cool Beverly Boulevard gallery — it’s the hot white-and-pink building. Thru February 28. Anton Corbijn (b. 1955) Dutch photographer, videographer and film director is perhaps best known for his seminal work with rock bands, having created music videos, album covers and sleeve photography for hundreds of artists including, amongst others, Joy Division, Depeche Mode, U2, Nirvana, and The Rolling Stones. His photographs, usually black-and-white, often resemble stills from motion pictures. Corbijn lives in The Hague. David Bailey (b. 1938) Born in London, Bailey is acknowledged as a founding father of contemporary photography, having shot iconic portraits over five decades of the Rolling Stones, the Beatles, Andy Warhol, Ronnie and Reggie Kray, Mickey Rourke and Kate Moss. Bailey’s early work helped define and capture the atmosphere of fashionable 1960s London, when he made stars of a new generation of models, including Jean Shrimpton and Penelope Tree. Drawing inspiration from Modernism, Bailey injected a sense of movement and immediacy into his work by using a very direct, cropped perspective. 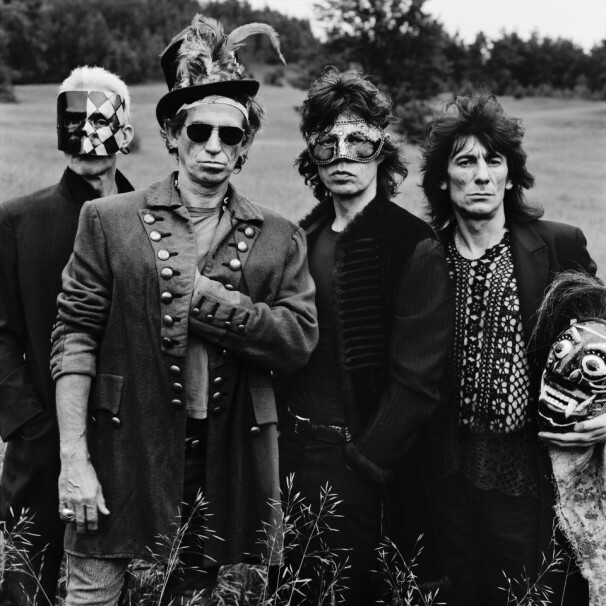 Show contains nearly 100 photos by David Bailey, Anton Corbijn, Gered Mankowitz, Terry Richardson, Dominique Tarlé, and Albert Watson, only two samples above.